Vera Advance | Officina In s.r.l. Vera Advance Air: In Air version Vera AD Air is presented with two soft cushions finished with a perimetric plucked sewing making a voulant edge which gives style to the model. In single version and in the 120 version, it is realized with a unique cushion. 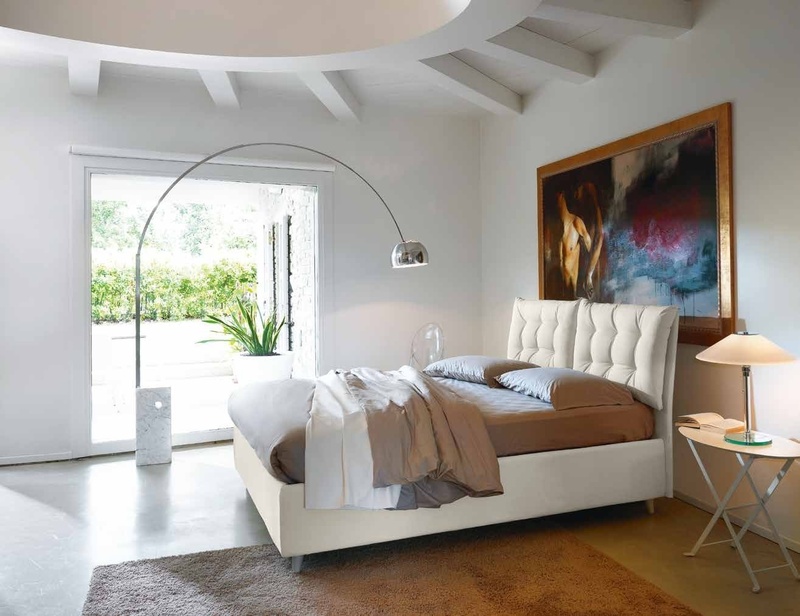 Vera Advance X: Vera X is an historic product of Noctis Collection revised in its lines thanks to the higher headboard slightly inclined. In single and 120 versions a unique soft quilted cushion is provided. 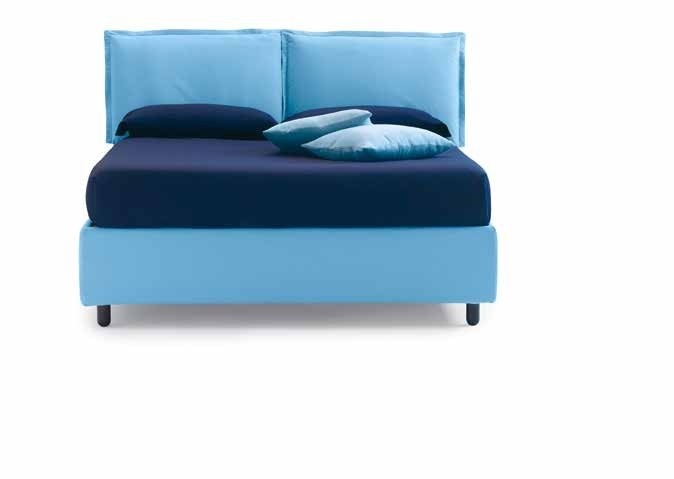 Vera Advance: Standard version of Vera bed model. The “soap bar” shape cushion with a light bend at sides, gives originality to the bed and at the same time keeps the simplicity of its aesthetic idea, easily adaptable to any situation. As per anyone of Vera models, the structure is realized in polyurethane foam of high quality.